Juno Replacement Battery features a slim chassis, visible e-liquid reservoir, and a proprietary dual 24K Gold Plated battery - pod connection. Each Juno Pod (sold separately) offers 1.6ml prefilled e-liquid capacity tank and atomizer with a resistance range of 1.3 to 1.5 ohms. 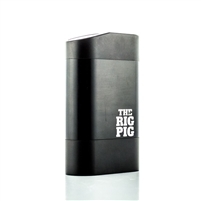 380mAh battery offers slightly extended range when compared to similarly sized vape devices. LED feedback informs the user of the Juno's battery life.